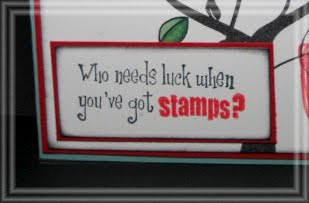 Paper Makeup Stamps: Lucky You, it's time for another sneak peek! Welcome back to another day of sneak peeks for the march release! 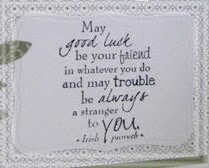 Today we have more wordart for you, but all the wordart seen today is from a specific set called Lucky Me Sentiment Set. 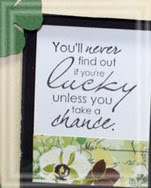 All of the sentiments are luck inspired (obviously, you'd guess that by the name of the set, right? Here are your sneak peeks... remember to click on the name of the Paper Makeup Artist to view the whole card and leave comments on the DT's blog. Those will be gathered up and entered to win the entire release! Dont forget that our release party is march 7th at 8pm CST in the PMS forum! We will be partying, playing games, giving out prizes. It's so much fun! This month we are going to give away the entire release to not 1 but 2 lucky lucky winners! How do you enter? Comment away! Comment Comment Comment! We want to know what you like! We will be gathering the comments from all the design team members blogs everyday and will give away the entire release (which is valued at over $70!) The more you comment, the more your chances to win! Please note though, only 1 comment per design team members blog per day counts. So you cant leave 10 comments on each blog for over 100 entries a day! haha! We will also give away the release from collecting comments from the PMS company blog. Each day leave a comment on what your favorite stamp shown that day is! Easy Peasy! Fab sentiments! 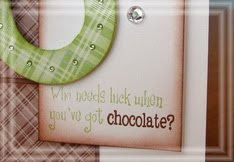 Especially love the 'who needs luck when you've got chocolate'! Loving the new release peeks! 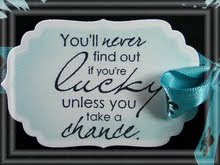 Really love the "lucky" quote. Great sentiments! My favorite is who needs luck when you got chocolate! I love the one with chocolate in it! How cute! Just great! PMS truly has the best sentiments of any company! !